In the summer, work doesn't stop; in fact, many of us may have "more" time on our hands to get things done. This made us question: is there a summer-ready outfit out there that we can feel at ease in, while also working hard? If it's as hot where you are as it is here in Connecticut, and you're working as hard as we are, you may be looking for the perfect work outfit -- something not too fussy but still professional; something comfortable that can easily go from working at home, to a lunch meeting, to picking the kids up from summer camp. when you want your wardrobe to match your natural confidence. The romper, by its very nature, requires some confidence to wear; just the fact that it's a one-piece garment made me want to label it as "too young" or, at the least, "too casual." But when the romper craze didn't fall by the wayside, I began to second guess my initial hesitation. At any rate, at some point my hesitation turned into belief. Why not wear a fun + casual outfit when going to co-work with other fun + casual women? Why not embrace the fact that I'm an entrepreneur, working 24/7 even while others vacation or take time off? Admittedly, I've got a crush on yellow, but this romper just says 'summer' to me. Worried about the low back? Throw a pin-striped linen jacket over this baby and you'll be the best dressed #ladyboss at your favorite co-working space. 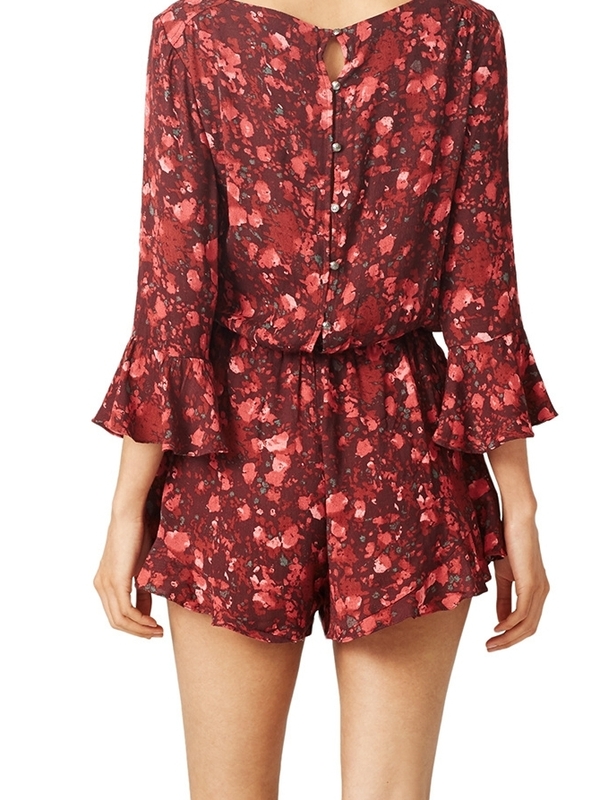 Look up "Ease" in your style dictionary, and this romper will be there. From the print, to the fit, to the drawstring waist, this outfit is the perfect mix of specialty details and comfortable fashion--exactly the balance you want when blending work and life. The print on this romper is as fierce as it is feminine; paired with a sash and sleeves that lean toward the frilly, this is my outright feminine pick. Doesn't it make you wish you had a meeting in the countryside of France? This romper is my small batch maker pick. The neutral color and linen fabric combo makes the possibilities for styling endless, which is basically exactly what you want for your go-to summer work outfit. Not yet ready to commit? You can rent this floral beauty for only $24!!! from--you guessed it--Rent the Runway. And, really, if you are going to test drive a romper for your next work meeting, this conservative-yet-appealing one is the way to go. I'd love to tell you that I ordered a slew of rompers and have been wearing them since my mindset shifted, but I've honestly been too busy to find the perfect one (for me). Instead, I'll just share the ones I'm considering and my reason for doing so. Maybe you & I can try them out together! Or maybe you've already found a perfectly good romper that's working for you; in that case, I'd love to see a photo of you in it! Tag us on Instagram, or post the link to your picture in the comments below.